Thank You ! Very nice design ! I love lillies and this is beautiful. 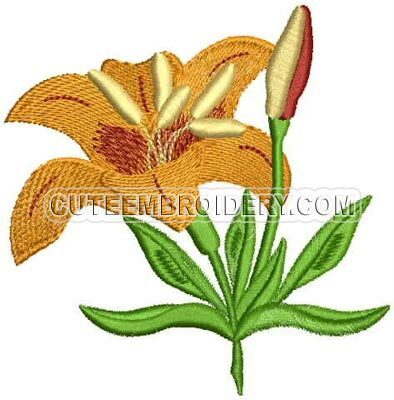 The Lily is beautiful,I love any kind of lily.My health keeps me at home so I do embroidery designs to give to other shut ins like myself.Thank-you & God Bless.